Get proper amounts of potassium as it is a vital mineral that assists in lowering blood pressure, and prevent strokes. 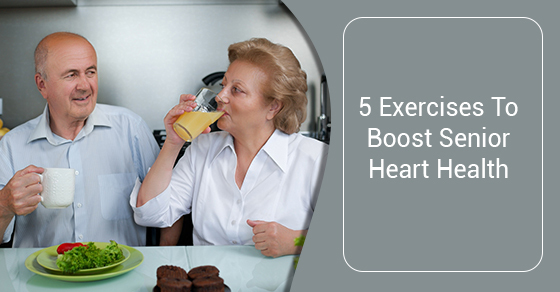 To boost cardiac health, consume the following potassium-rich foods: beans and legumes, yogurt, milk (1% or fat-free), vegetable juice, bananas (both green and ripe) and potatoes. Moreover, other food items containing potassium can be incorporated into your diet and snacks. An elderly should consume the right amount of healthy fats, while staying away from saturated and unhealthy fats. Making food items rich in Omega 3 fatty acids should be a regular dietary routine. Fish such as salmon, mackerel, or sardines are an excellent source of such fats. Lowering cholesterol which is necessary only in small amounts and is produced by the liver is crucial to cardiac health. When you eat saturated fats and food with high cholesterol such as eggs, dairy, and red meat, unhealthy cholesterol accumulates in the body. The cholesterol then builds up in the arteries, raising one’s risk of heart disease and stroke. To counter such effects and decrease cholesterol levels, consume foods containing healthy fats or soluble fiber. The following foods can replace high-cholesterol foods: turkey, chicken, or salmon burgers instead of beef; quinoa instead of rice; nuts and nut butter instead of cheese; plain yogurt instead of sour cream. C-Care has more than ten years of practice in providing care services to homes and healthcare facilities. Services are charged hourly to avoid complications from long-term contracts. They offer flexible services at any day and time that can be tailored to suit the client’s time or budgetary preferences. C-Care provides comprehensive and superior services to relax loved ones and family, allowing them a peace of mind and security on behalf of C-Care’s committed team of support professionals. All C-Care caregivers are insured, first aid and CPR trained and certified with authorization from the Toronto Police, and they provide health services, company, and domestic assistance to enhance quality of life. C-Care specializes in providing the following services: home care, hospital private duty care, facility staffing, retirement home care, palliative care, post-surgery & wound care, foot care, Alzheimer’s care, acquired brain injury care, ALS care, dementia, muscular dystrophy, Parkinson’s disease care, and stroke recovery care. For more information, call C-Care at 1-416-724-2273 or contact us here.